Just like the Thompson Twins no duo, but a trio from Scottish Grangemouth and specialized in such challenging music styles as gothic rock, post-punk, ethereal wave and dream pop. 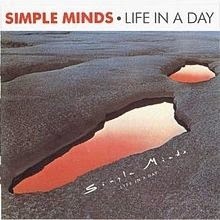 Especially band member Robin Guthrie has made conflicting statements about the conception of the group name, but with a reasonable degree of certainty we can say that the name is derived from a number of the early (and like the Cocteau Twins Scottish) Simple Minds. No, there actually is no Simple Minds number called Cocteau Twins, but on their first album, Life In a Day, there is the track No Cure, a song that originally would have had the title Cocteau Twins.